There is a good reason to watch John Estrada playing the late Antonio Halili, who served as mayor of Tanuauan City in Batangas from 2013 until his controversial death in July last year. If we are to take Caesar Soriano’s word for it, the film is full of drama and well-acted. Actor John Estrada plays Antonio Halili, the slain mayor of Tanauan City, Batangas, in an upcoming film helmed by journalist and director Caesar Soriano. Less than 24 hours before Mayor Halili was assassinated while having the flag ceremony at the newly constructed municipal town hall of Tanauan City, journalist and film director Caesar Soriano was able to interview the feisty mayor. The interview was supposedly geared towards Soriano’s plan of making a biopic about the life of the controversial mayor. In the interview, the politician poured out his strong staunch about fighting illegal drugs, the controversies surrounding his walk of shame “parade” campaign, his private life, and all his dreams and aspirations for his dear town. But by a strange twist of faith, Mayor Halili was gunned down by an unknown assailant on that dreadful morning of July 1, 2018. But being a good friend that he is, Soriano still stands firmly to push through with the plan of making the movie. Entitled The Last Interview: The Mayor Antonio Halili Story, the movie depicts about the colorful life of the departed mayor told in the point of view of Soriano who managed to have an in-depth interview with the slain politician. “When I was a reporter, I was very fascinated and obsessed in understanding the harsh and not normal parading of drug pushers and drug users. I came to know that this mayor was accused of human rights violations. 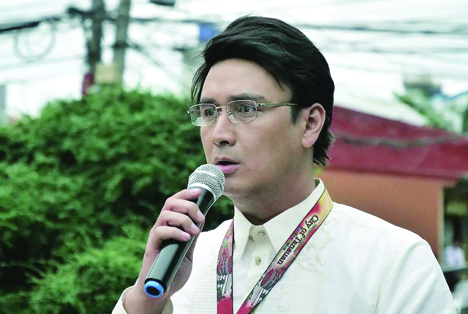 That started by vision of creating a film about Mayor Halili,” Soriano told members of the entertainment media during a press preview of the movie held at SM Lipa Cinema recently. “I wanted to know why was he doing that, what motivated him, what was the reason, what was his driving force why he had to parade these drug pushers and users,” he added. For actor John Estrada, playing Mayor Halili is one of the best movie roles he portrayed, and even the director of the film agreed saying that the actor’s portrayal of the role is so affecting and natural he might even win an award. “It’s so humbling, I accepted the role because of the colorful and intriguing personality of Mayor Halili. Although I’m not into politics, and I don’t consider myself running for public office or doing government works, I would have loved talking to the late mayor if he were alive. His story is both interesting and inspirational,” John said during the special screening. The actor recalled how the director wanted to make him look like the mayor by asking him to wear some of his clothes, his shoes, including his favorite necklace. The Last Interview: The Mayor Antonio Halili Story, which will screen commercially after the elections, also stars Ara Mina, Michael Flores, Phoebe Walker, JM Soriano, Martin Escudero, and Kate Alejandrino. 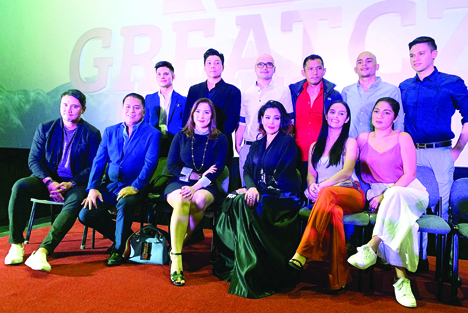 The whole cast of 'The Last Interview' led by John Estrada (leftmost) and director Caesar Soriano (second from left) during the film's special screening attended by Angeline “Sweet" Halili (seated, third from right), daughter of the slain mayor. Success has been kind to businessman and visionary Joey Garcia in almost the same force as the cruelty of failure bugged him along the way. But those setbacks, unnecessary as not to be even mentioned, proved crucial in correcting mistakes that helped turn losses into victories. “Marami akong failures sa buhay. Iskul bukol nga ako nung nasa eskwela pa ako. I learned how to play billiards during those days,” informed the highly-achieving family man in casual tone that sounded quite funny yet honest to the core. But while weaker men would wallow in the dark and cry over spilt milk, Joey corrected his questionable ways early on. By age 18, he was already professionally involved in their family business. It did help for a smoother path after his father Benjie-san (as he is fondly called in the food business community) catapulted to household-name their family restaurant Rai Rai Ken. But that only raised the standard he was up against. Determined to prove he is a man on a mission, he rose to the challenge, kept himself afloat while learning the trade, and self-willed towards a sail long and lasting. “You have to invest time and effort para ma-affirm ang husay mo experience-wise. It’s not enough na madiskarte ka lang. Kailangan mo din ng formal training at alam mo dapat ang jargons of the field you are in,” shared the authoritative figure who now gets paid well even by just doing talks and inspiring wannabes around, may they be in business or other sectors. As soon as Joey realized he needed to beef up his credentials, he attended business-related seminars and courses left and right, initially at the expense of his highly respected dad. 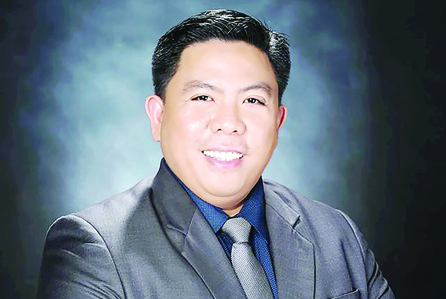 He finished his masters at AIM and Ateneo and practically transformed from being “Titser’s Enemi Number 1” to a dedicated student fueled to finish courses that would help fortify his knowledge in doing business the schooled way. Of course, he believes that the best teacher is experience. But having the certificates gave him the legitimacy natural gift can’t afford. In basketball one can be born a pure shooter, yet the right shooting form must eventually come into play. While his dad is a chef of immense skills, Joey has perfected his touch in conceptualizing business ideas that assisted in giving birth to restaurants like Tokyo Joe, Ramen Metro, and Oishi Batchoi, not to mention his finesse in refining the Rai Rai Ken brand that he anchored into a multi-outlet way beyond imagination. In a remarkable one year spurt, he guided the establishment of 15 Rai Rai Ken branches. Even more amazing is the fact that in between those build-ups were, you guess, failed attempts. “You learn from failures and it shouldn’t stop you from forging ahead,” he implied. That’s another way of saying that one swims through by moving forward until he reaches the shore. One of these concepts propelled TITANS Business Ventures Corporation to reality, offering a business model canvass to help brands flourish. It’s a company put up by established entrepreneurs wanting to take their titanic triumphs to another level. Joey and his partners, namely, Edmar Batac, Christian Leynes, Pocholo Gonzales, Ed Paras, and Dave Varona, have already partnered with select brands, or those that caught their interest in the name of expansion. In just so short a time, or a mere couple of months’ quick, TITANS is fast-emerging as a go-to for brands aiming to grow. The company’s focus is “finding areas where business could be more productive and successful.” Areas like business planning, back office support, and game-changing executive decisions are all covered by expertly-formulated programs and services that brands need to make a stir in the business community. Perhaps part of Joey’s trick is his eye for seeing the “artistic side of doing things,” which is being innovative, creative, and out of the box. Joey Garcia is the President and CEO of Titans Business Ventures Corp. which helps brands grow and sail smooth.